Making kosher wine in California is not new. Occasionally wineries started up, but they did not last or pass any test of quality. The first was Anaheim Winery, owned by a German immigrant Bernard Dreyfus, in the 1860’s. Later on, in the 20th century, Rabbis looking to supplant their meagre income would visit California to make a wine there, for them to sell to the Jewish community back home on the East Coast. It was more common for winemakers from the New York region to make a pilgrimage there to buy grape juice concentrate, for use as a natural sweetener for the wines instead of adding sugar. However, the first of the modern wineries to pass the quality test was the pioneering Hagafen Winery, owned by Ernie Weir, founded in Napa in 1979. There were many Jewish winemakers making wine in California, but none were prepared to make the extra effort to go kosher until Weir. He preceded Royal Wine’s Californian project and the Golan Heights Winery. Ernie Weir is a patrician figure, who carries enormous respect in the industry. He was the first of the new wave of dry, quality kosher wines. I recently tasted his Sauvignon Blanc which is amazing. Arguably a Californian winery with the most notable reviews is Covenant owned by Jeff Morgan. It was founded in 2003 and is now situated at Berkeley. Now Jeff is the opposite of Ernie. He has a great story, a winning smile and is a tireless self-promotor, not without cause. He makes some very fine wine. However, the field is not empty any more. There are now a few, new, small Californian wineries that make kosher, cult wines. 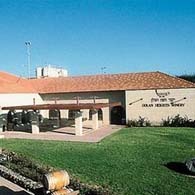 The highest profile kosher winery though is probably the Herzog Winery, situated at Oxnard, which is owned by the Herzog family, which has been making wine for eight generations. They are the owners of Royal Wine Corp. and Kedem Winery, and the largest importers and distributors of Israeli wines worldwide. Baron Herzog wines were first launched in 1985. The name ‘Baron’ came from the honor bestowed on Philip Herzog in 1876, when the Emperor Franz Joseph started to use the Herzog wines produced in Slovakia. The family made wine for six generations there, survived the Nazis and fled the Communists before arriving in New York in 1948. There Eugene Herzog took over Royal Wine, founded Kedem and the company became the most important in the kosher wine scene. Were the wines any good? Not yet, but the family were about to lead the change to quality dry wines and change kosher wine forever. As part of this change, they decide to launch a quality Californian winery. In 1985 Baron Herzog Wine Cellars was founded. It was wholly owned by the Herzog family. The winery for its first twenty years used custom crush facilities. They made five wines in that first year: Cabernet Sauvignon, Zinfandel, White Zinfandel, Chardonnay and Chenin Blanc. David Herzog, CEO of Royal Wine, made a very important decision early on. He employed the services of Peter Stern, who turned out to be an iconic figure in the history of both Israeli and kosher wine. Peter Stern was a Californian winemaker who had worked for both Gallo and Mondavi. In 1983 he became the wine consultant to the new Golan Heights Winery, shepherding and tutoring a succession of young, inexperienced winemakers. He maintained this job for twenty years before becoming the consultant to Carmel for five years. He more than anyone else brought in New World technology to Israel and the Israel quality wine revolution owes him a great deal of credit. As the winemaker for Baron Herzog, he also set new standards of Kosher Californian wines. When the winery developed the new range of regional Special Reserve wines, they dropped the ‘Baron’ and the winery became known as Herzog Wine Cellars. In the late 1990’s Herzog wines scored 94 points in the Wine Spectator and Wine Enthusiast. These were then the highest scores for Kosher wines anywhere and remain a marking post. Sales grew. The entry level Baron Herzog were great value for money and the Herzog Special Reserves brought attention of the quality of the winery. I once visited the facility where the wine was made in Santa Maria with Peter Stern and then was struck by the pursuit of quality. The next major date was 2005 when the winery acquired a permanent home in Oxnard in Southern California. A state-of-the-art winery was built with all the most modern equipment and technology. The winery was named Herzog Wine Cellars. It was really two wineries in one, because it included the possibilities of making both volume wines and small plot, handcrafted wines. By now the on-site winemaker was Joe Hurliman. (Peter Stern lived further away.) Hurliman began his career in the mid 1980’s working with Alban Vineyards and Sine Qua Non Winery. He started to work with Peter Stern at Herzog in 1998 and eventually took over. He is not Jewish, but after twenty years on the job he probably knows more about the fine detail of kashrut than any rabbi! In 2006 the Herzog family appointed a fulltime manager and Joseph Herzog took over. The vineyards, winery, visitors center, restaurant and local marketing all come under his responsibility, but he is able to delegate and has gathered together a good team. The next landmark decision was to purchase vineyards. The Herzog had always been against this, believing they were winemakers, not growers. 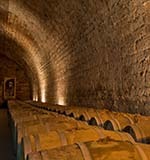 However, in order to safeguard existing fruit and avoid rocketing prices, the winery had to bite the bullet and in 2010 they also became growers. Herzog Winery today produces roughly three million bottles. They produce wines ranging from $6 a bottle to over $200. The wine labels range from the entry level Baron Herzog, to Lineage, Variations, Special Reserve, Single Vineyard, up to the prestige Special Edition. The flagship is the rare Generation VIII, only produced in especially good vintages. The Herzog Winery also produces wines for the Weinstock brand, which are young and fruit forward. Then there is the genius Jeunesse label. These are semi sweet wines, in bottles that look like quality table wines made from varieties like Cabernet Sauvignon. Masterful and very successful. The wine intelligentsia will frown and shake their heads, but the success of Blue Nun and Moscato clearly shows there is a market for those who prefer something sweet. I am waiting for the Israeli winery with the smarts to do this and with the marketing talent to carry it off like Herzog. The winery has invested in purchasing and developing vineyards in Clarksburg, Lake County, Napa Valley and Sonoma. Apart from these the winery has a number of long-term agreements with growers that crisscross the California appellation. The winery has a fleet of its own wine tanker trucks and uses its own tank farm at the Lange Twins facility in Lodi, usually for beginning the winemaking process for white wines closer to the vineyards. This type of midway station is no different to what a Napa Valley winery will be doing in reverse, if they are bring fruit from say, the Central Valley. I met with Joe Hurliman. He is wiry, intense and focused, and slightly bent like a soon to be released spring. He wears an ear ring in each ear and will likely be wearing a Herzog Cellars cap and a leather jacket. He is an absolute wine geek and fitness fanatic. He just has to work out every day, wherever he is whatever the circumstances. He is totally absorbed in making the best wine he can at every price point, and loves the idea of having different terroirs to give wine lovers to taste different terroirs. His wine epiphany came on a visit to Robert Mondavi Winery in 1985. He changed direction, began making wine at home and buying any grape variety he had not tasted and has never really stopped since then. He used to get wound up pre the High Holy Days about what the enforced breaks would do to his precious wine, until Philip Herzog, David’s brother told him “Don’t worry, it will play out the way G-d wants”, which released him from taking it all on himself. He is both talented and experienced. For him it is personal. He regards the wines as his children. Joseph Herzog is a big, young man, who is the youngest of the eighth generation of Herzogs. He is the son of Ernest, who was CEO before David Herzog and signed the bottle of the first wine in 1985. He is a New Yorker, but like his brother Morris who travelled to England to manage the family business there, he travelled to California. His other brother is winemaker of Kedem Winery and he spent a short time there, making wine and designing the tasting room. His epiphany wine was the Contour 1998, a blend of Chenin Blanc and Chardonnay. He is engaging and full of passion. It is amazing how he has adopted the winery, and how the winery has adopted him. I met him in his office with the large volcanic rock on the table from one of the new Lake County vineyards. He showed his boots in the car which are ready for frequent visits to the vineyards. We overstepped out time in the winery tank room, as he almost skipped from tank to tank, eagerly showing samples of wines in process. This is someone with pride and passion and no little knowledge. This gave me great pleasure because I always think of the Herzogs as commercial animals and they obviously chose the right person for the job. Wine has taught him patience and he has learnt there are no short cuts. If you meet him, just ask him what he thinks of Pinot Noir, and you will understand the passion. The winery is clearly in good hands. Today there is a winemaking team of three. Joe Hurliman is Head Winemaker and he has two assistants, Barry Henderson and Alicia Wilbur. The visitors center was full when I was there. Most of the visitors were not Jewish, but locals or people travelling on the Ventura County wine route. The jewel in the crown is the Tierra Sur Restaurant, which is one of the finest kosher restaurants in America. The paradox was that when I was there, the restaurant was full. There was not a kippa or yarmulke in site. The diners were locals who also consider it the finest restaurant within a fifty mile radius. They all know it is kosher…but that does not bother them because the food is so good. I particularly liked the fact they offered some really expensive fine wines by the glass with use of Coravin. When I was there, I tasted some special wines. One was a sublime Eagles landing Pinot Noir 2007. This is a label exclusive for their customer club. The Herzog To Kalon Vineyard Cabernet Sauvignon 2006 was tight, focused, with layers of complexity and its best days still to come. However, the wine that stole the show was the Herzog Special Reserve, Alexander Valley 1997. It was elegant, flavorful yet beautifully defined. A twenty two year old wine showing beautifully! Only after I tasted it, was I told it was Mevushal. That made me think! As for the regular wines I am a great fan of the Baron Herzog Zinfandel and Chenin Blanc, the Lineage Cabernet Sauvignon and the newish Special Reserve Albarino. Herzog Wine Cellars, founded over thirty years ago, is a genuinely impressive winery producing quality wines at every price point. It is a symbol of the kosher wine world and the jewel in the crown of the Royal Wine Kedem empire. 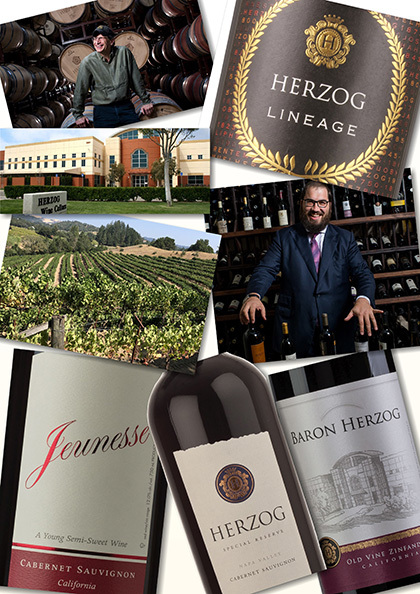 There are other quality kosher wineries in California, but none with the reach and influence of the Herzog Winery. The Herzog family, which has its roots in Slovakia, built a wine empire in New York and New Jersey, are now firmly entrenched as wine growers and winemakers in California. Adam Montefiore has advanced Israeli wine for over thirty years and he has been referred to as the ambassador of Israeli wines. He is the wine writer for the Jerusalem Post.